The new research paradigm compels us to search for business models hidden in everyday activities of business organizations. Once we uncover them and name their building blocks, we can start the process of reinventing them, with a hope of making organizations more innovative and competitive. Any hot area of academic and semi-academic activity spawns numerous theoretical concepts and research methodologies, and it is easy to forget that many of them are talking about the same things. They use different names and may even focus on somewhat different aspects, but the underlying essence is identical. 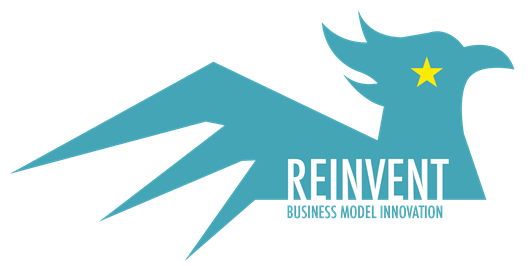 There are two recent examples of popular, successful and sensible approaches to the concept of the business model. The first, known as “the Business Model Canvas” was proposed by Alexander Osterwalder and Ives Pigneur and made popular in their bestselling book (2010). The second was developed in the consulting firm Doblin, led by Larry Keeley, and recently re-formulated (2013). In the spirit of simplification, started by the earlier post, I shall try to show where these two approaches overlap and where they diverge. The Canvas model has nine components (or modules), and the Doblin model has ten. The central module of the Canvas, namely “Value Proposition”, describes all material and immaterial benefits that the customer derives from an offer, be it a product or a service, thanks to its superior features and functionality. The Doblin model splits this into three: “Product performance”, “Product system”, and “Service” (e.g. product bundles, complementary products and services, customer support etc.). “Structure” and “Process” are the Doblin equivalents of, respectively, “Key Resources” and “Key Activities” in the Canvas. These modules are responsible for turning the idea of the customer value proposition into reality through fully utilizing assets, know-how, and talent. All the ways through which a value proposition may reach the customers and users are covered by Doblin’s “Channel” and Canvas’s “Channels” modules. Since “money makes the world go round”, the financial constraints and possibilities are described in the Doblin “Profit Model”; it corresponds to two components in the Canvas focused on money: “Cost Structure” and “Revenue Streams”. The single “Network” module in the Doblin model emphasizes that both external and internal cooperative interactions (covered by Canvas’s “Key Partnerships” and “Customer Relationships” modules), are driven and maintained by common mechanisms, such as social capital-oriented organizational culture. In fact, cultivating “Customer Relationships” and building knowledge of “Customer Segments” (both Canvas modules) allows us to achieve what the Doblin model calls “Customer Engagement”. Finally, if all goes well, it should result in a lasting impression left by a business activity in the minds of customers. The Doblin approach considers it of such importance that it has its own module (“Brand”). Once we establish that there is similarity between the two approaches, we may, for example, apply Doblin’s excellent set of over 100 “innovation tactics” to help with reinvention of Canvas-based business models. In a recent paper (available at her ResearchGate profile), presented at the 16th European Conference on Knowledge Management, Anna Ujwary-Gil attempted to build an even longer bridge over an unnecessary conceptual divide. She noticed a striking resemblance between the business model camp, usually associated with strategic management, and the intellectual capital camp, populated by scholars of knowledge management. Not surprisingly, researchers in both camps talk about the same issues, but use non-overlapping terminologies. Simplification and translation should make reinvention more likely. Keeley, L., Pikkel, R., Quinn, B. & Walters, H. (2013) Ten Types of Innovation. The Discipline of Building Breakthroughs. Wiley, Hoboken. Osterwalder, A. & Pigneur, Y. (2010) Business Model Generation. A Handbook for Visionaries, Game Changers, and Challengers. Wiley, Hoboken. Ujwary-Gil, A. (2015) Analyzing business model and intellectual capital components. In: The 16th European Conference on Knowledge Management ECKM 2015, A. Gerllati & M. Massaro (eds), Udine, Italy.